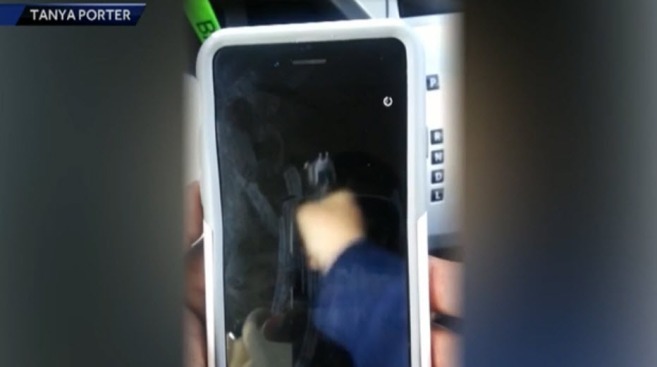 Gun shown in Snapchat video being investigated by Modesto police as possible hate crime. Modesto police have arrested two 16-year-olds about a week after a Snapchat video surfaced showing a white student with a noose around his neck making a threat toward an African-American student. A gun was also fired in the video. In a statement, police announced the arrests of the Central Catholic High School students on Monday. Since they are minors, not much more is known about them. But police said they are believed to be "associated with the production or distribution of the video." Detectives searched three homes; in Patterson, the town Waterford and near La Grange, all near Modesto. After evidence was collected, police said, two teens were booked into the Stanislaus County Juvenile Hall on charges of making terrorist threats, committing a hate crime and criminal conspiracy. The school was not immediately available for comment. But the African-American boy's lawyer, Jacq Wilson, told NBC affiliate KCRA in Sacramento, that the boys had been suspended. The video, which surfaced in late March starts by showing a white student at Central Catholic High School in a camouflage jacket holding a rope over his head, shouting a slur. The next quick clip shows a gun case opening to show a rifle inside. Then, someone fires off a gun. In the clip, the white student yells the first, middle and last name of the African-American student. KCRA obtained the video and edited the faces and also the names of both students so as not to disclose their identities. The words "You must die" can also be heard. The African-American student's mother spoke to KCRA in early April. Porter first learned of the video while coming back to her car from a convenience store to find her son sitting inside the car with a strange look on his face. "He said, 'Mom you have to look at this,' and when I saw the video, I was appalled," Porter told KCRA. "Just the history of how many people have hung from a tree with a noose around their neck . . . that's associated with death." She reported the video to Central Catholic on March 25, then sent them a copy of it April 6. On April 7, she reported the video to Modesto police.